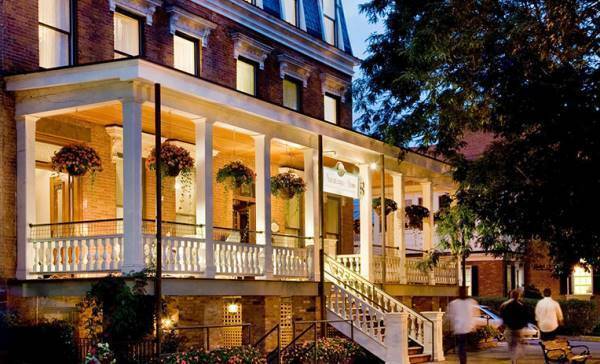 No hotel captures the dignified Old World elegance that Saratoga Springs evokes quite like the Saratoga Arms. With beautiful Victorian furnishings and a stunning porch, there’s no better place to tell mother about what you’ve been feeling in your loins since as long as you can remember. 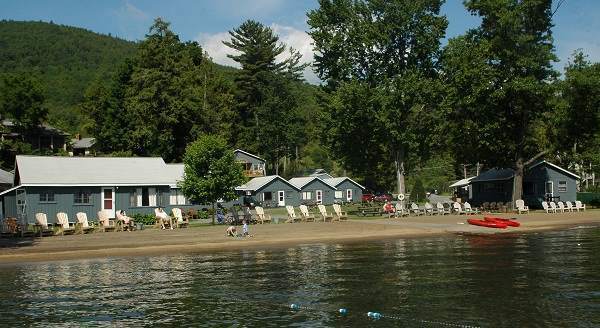 Located in scenic Lake George, the Blue Lagoon Resort is the perfect destination for an action-packed trip. From jet skiing to playing ping pong to the unbearable silence you’ll experience once you spill the beans to your biological mom, you’ll be wishing that time wasn’t a flat circle! A mere vote shy of having become the state capital of New York, Hudson has grown in its own peculiar way since once being the 24th largest city in America in 1790. 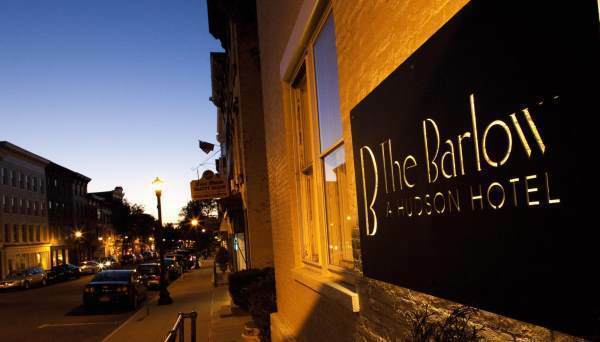 Enter the Barlow, the premier hotel of Hudson and one of the finest in all of New York. There’s everything you need inside: floors, illumination, and a single queen-sized bed that will force your hand a lot earlier than you had anticipated. Who’s ready for a weekend learning about America’s great national pastime? 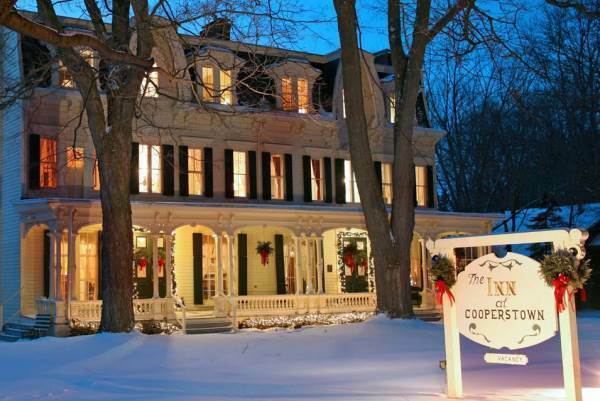 A visit to the Inn At Cooperstown provides just that, and in such grand fashion, including the rare opportunity to talk with the granddaughter of Yankee legend Babe Ruth! Which is perfect, considering Mother always said the Great Bambino was mankind’s greatest aphrodisiac. 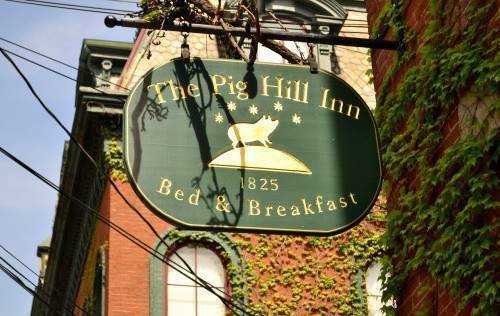 Located in historic Cold Spring, the Pig Hill Inn is a charming bed-and-breakfast only an hour away from New York City. From the antique stores that are footsteps away to gorgeous Hudson Valley hikes, there’s more than enough to pack into a weekend. They even provide free homemade pastries and pies, just like Mom used to make, which would explain why you’re so inexplicably hot and bothered right now. 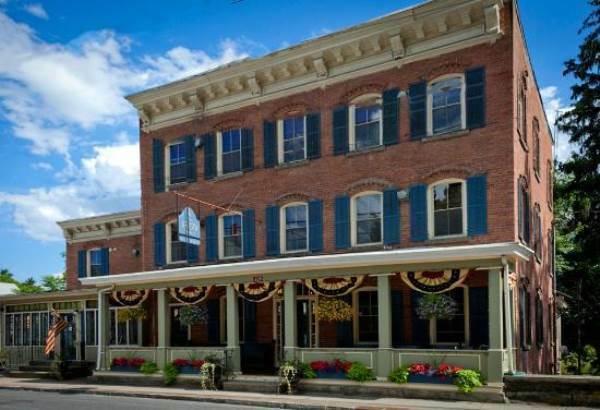 Housed in a three-story brick building erected in 1850, the 1850 House Inn & Tavern provides world-class accommodations in the former hippie haven of Rosendale. The area gained national prominence in the early 1800’s with the discovery of ‘Rosendale cement,’ a natural substance requiring no chemical additives, much like a boy’s tender love for his dear mother. Out of this world, man! The Roxbury Motel is the coolest place in the Catskills, with over thirty over-the-top themed rooms. But don’t let its glitzy appearance distract you — on the grounds you’ll find a couple of relaxing spa rooms that provide the perfect scenery for a romantic weekend with Mother.